How to save your crew (or helm) when they fall in! When someone falls out of a boat (technically known as man overboard, even if it's a woman). 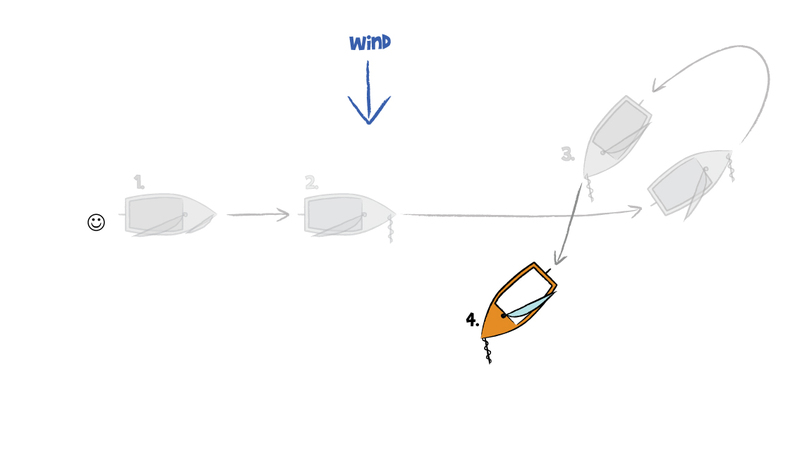 Unfortunately, boats don't have brakes, so it's not just a case of stopping the boat and pulling them back in - there's a certain way to do it, without resorting to total panic and devastation! 1. 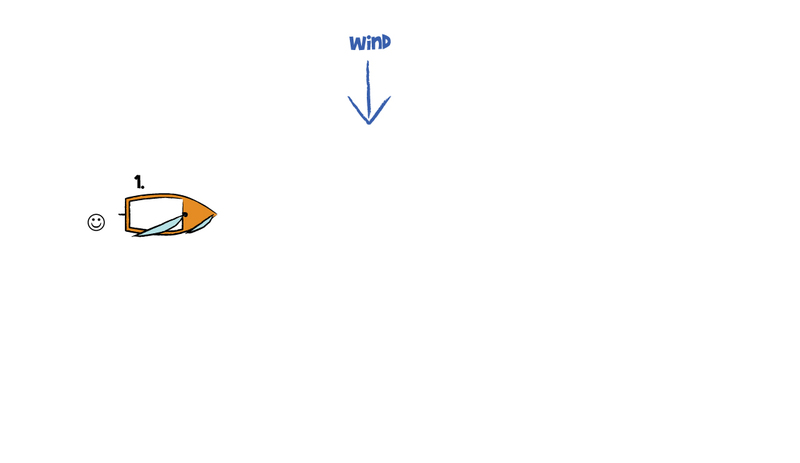 Take control of the helm of the boat (if you're not already helming), and check where the person overboard is. If you have any other crew on board, make sure one of them keeps an eye on the person in the water at all times. 2. Let the jib go free, lower the centre board, and steer onto a beam reach. 3. 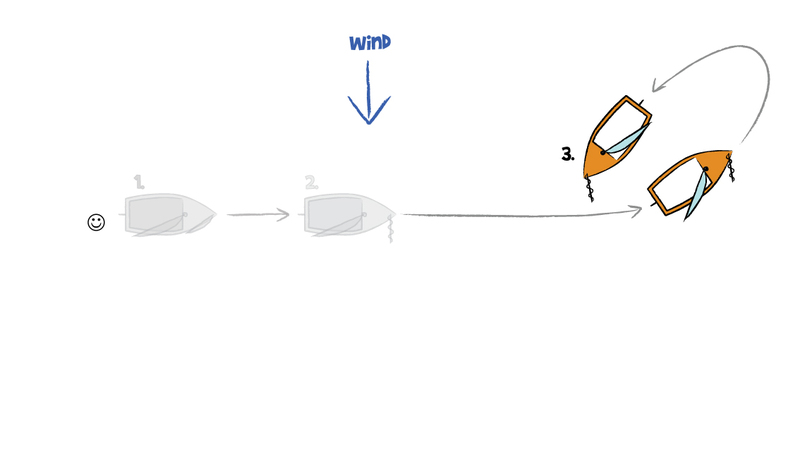 Tack from one beam reach onto the opposite beam reach (do not gybe - tacking slows down the boat by depowering the sails) and keep checking where the person in the water is. 4. As you approach the escapee, bear away (steer away from the wind) onto a broad reach. 5. 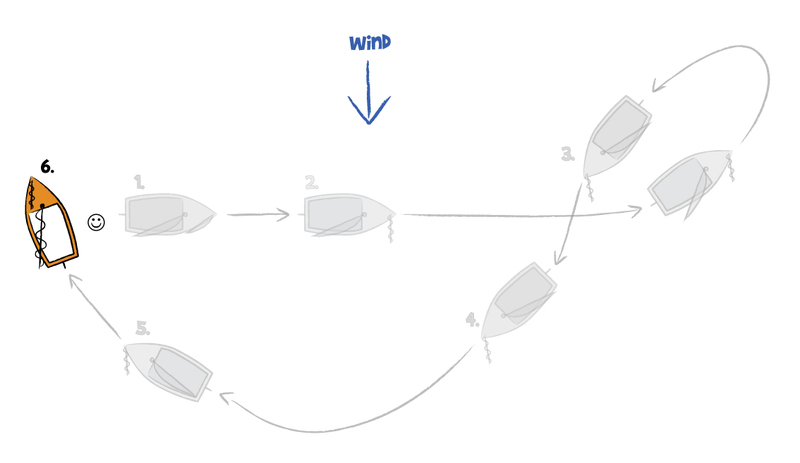 Luff up onto a close reach (turn closer into the wind), but leave the sails flapping to slow down. 6. 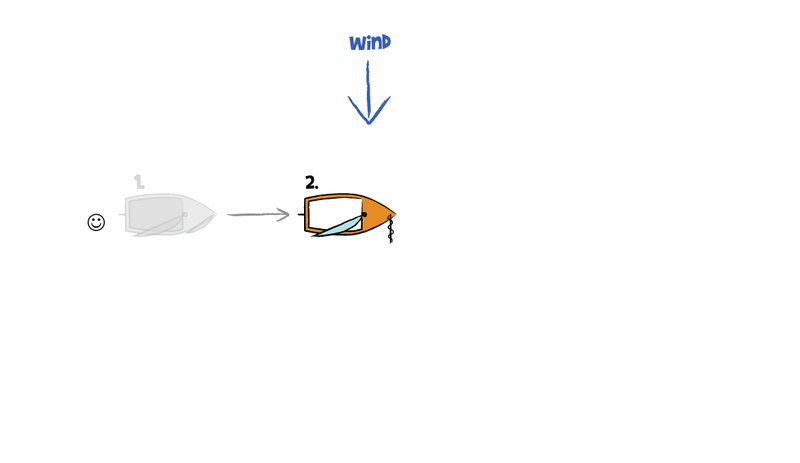 When near the evacuee, let the sails go and luff up onto head to wind, so that you stop with the person on the windward side of the boat (the side the wind is coming from). 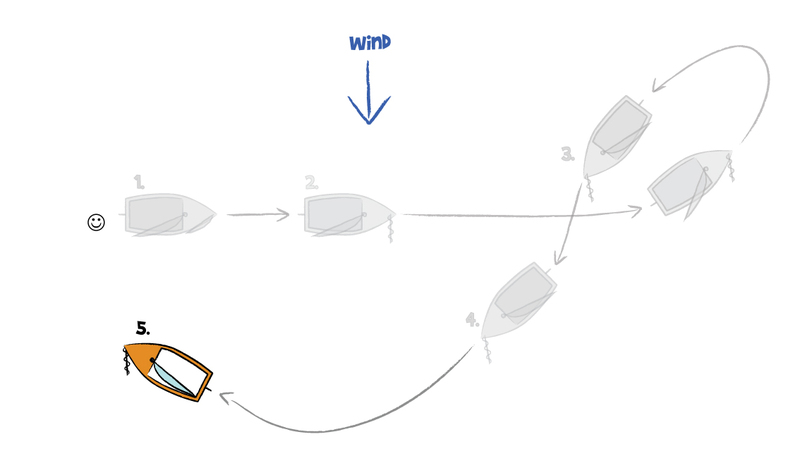 This is important - if you stop with them on the leeward side, the wind can blow the boat ontop of them. 7. Grab them by the bouyancy aid and help them climb in. If they're really cold, unless they're wearing the proper gear you should think about going ashore to get them warm. Alternatively, if you're sailing in the Mediterranean and it's 35°C in the shade, they'll probably jump back in the water!